At the recent Sprint 16 you’ll have heard us talk about the £1.8bn Government Spending Review Settlement to enable this digital transformation across all Departments, with an increased focus on designing cross-government platforms. Transforming Together is the brainchild of a group of like-minded leaders, who feel strongly about developing a new, joined up approach to deliver this transformation. We believe that, if we are truly going to transform government, we need to collaborate to deliver and build communities of interest, practice and action. We need to join up delivery and learn from each other. It’s about doing the right work, in the right way, in the right places, with the right people. All of us, everyone in government, has a part to play - transformation really is a team sport. Collaboration and communities are the pillars of Transforming Together. It’s an opportunity to bring all of our activity together. It’s about sharing experiences and capability. It’s about collaborating to deliver government transformation through self-organising and self-managing cross-government communities of transformation leaders and practitioners. 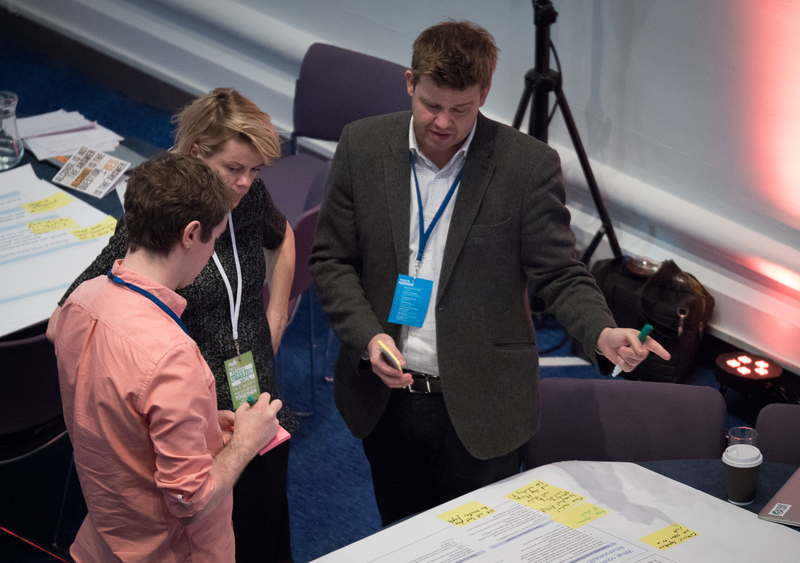 We’ve held two events so far, bringing together important people from across the Civil Service to get their hands dirty and work together on real issues like building capability, making better use of data, governance, and business design. We have seen a number of communities emerge as a result of bringing together people with a shared interest. Check out this Storify for Department of Work and Pensions (DWP)’s take on the latest event. These communities of interest, practice, and action will continue to evolve over time and expand the conversation so that everyone involved in shaping and delivering our transformation programmes across government has an opportunity to collaborate, share, and learn. We really do have a once in a lifetime opportunity to transform government. As one delegate tweeted ‘We’re trying to make history here’. And there’s great collaboration already happening through programmes such as One Government at the Border, Universal Credit and Digital Justice. There are many more examples of how we are growing communities, collaborating, and delivering transformation. This is hard and there’s still much more to do but by transforming together we all have a better chance of success. 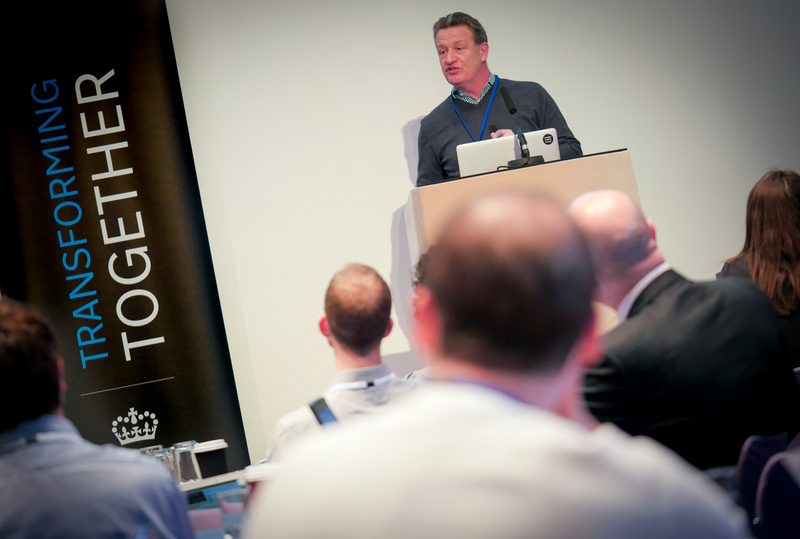 Our next #TransformingTogether event will be in Edinburgh in July 2016.